We are a family business nestled in the foothills of the Sierra Nevadas, in the town of Placerville, California. Since opening our doors in 2012, we have committed to offering the highest standard of service. We are not your average feed store - in addition to offering happy, healthy poultry and the best feed and supplies money can buy, we offer advice that you can trust; every member of our staff has kept poultry for a decade or longer and can offer expertise in almost any aspect of poultry keeping. New to poultry? Have a question? Just ask! We carry everything you need for raising chickens or any other poultry, whether you are just beginning or a seasoned poultry keeper. 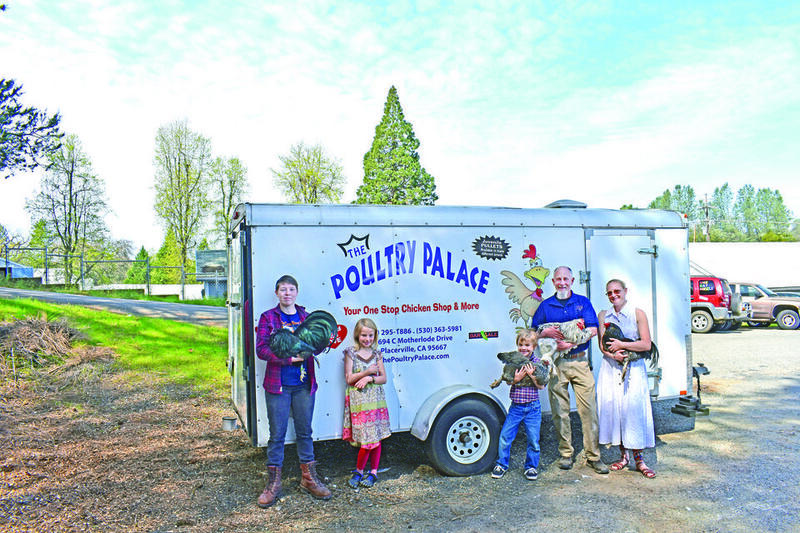 Jay opened his doors for business in 2012, but has had a lifelong passion for poultry and has now raised chickens and other species for over 40 years. This passion originated when he joined 4-H as a child and raised poultry for show. He takes a practical approach to poultry husbandry, but gives each of his birds the utmost individual attention (especially his breeding stock) and treats them with care and kindness. In addition to putting all the work into raising our sale stock, he breeds Seramas and LeRoy Orpingtons for pets and exhibition. Nikki has worked with the business nearly from the beginning, before a storefront was even acquired. She now helps out one or two days a week at the storefront, but mainly assists us in tending and cleaning our growing barns and chick facilities, where all of our birds get a happy and healthy start. Her two children make great "socializers" for our young birds as well, and whenever she is cleaning our barns they can be found handling and holding our young stock. Susan is Jay's mother and has helped run the business since it was founded. She is invaluable to us and helps out with running the phones, keeping our books, and making sure everyone stays in line. Though she does not have any birds at the moment, she has raised poultry since her childhood and it was her encouragement which allowed Jay to discover his passion.